Discoloring your clothing – If your clothes tend to look dingy and feel rough, it could be the result of washing them in hard water. Leaving water stains on your dishes – Have you wondered why your dishes never look sparkling clean? A home water test at your Tampa property could determine whether this problem is the result of water hardness. The presence of soap scum – The excess amount of minerals in hard water can leave behind a white residue, or soap scum, on your bathroom fixtures after you take a shower or bath. Not only is this unsightly, but it’s also a problem that no amount of cleaner will prevent, since only a water softener system can treat the water hardness that causes soap scum. Do the problems above sound all-too-familiar? 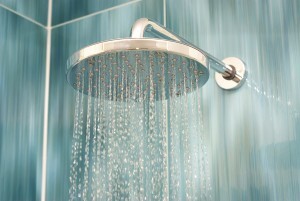 Or, are you concerned about other issues with your water, such as water that tastes bad or leaves rust stains behind? If so, you and your family could benefit from a complimentary home water test from RainSoft. The process of getting a test from us is both easy and convenient. All you need to do is call us and let us know the best date and time for one of our representatives to conduct your home water test. Once the appointment day arrives, our expert will stop by your house to collect a sample from your kitchen faucet and test it right in your home. Within a few minutes, you’ll know your test results and our representative will be happy to answer any of your questions. If your test indicates there are problems with your water supply, we will explain to you the best treatment options for your water. If you live in the Tampa, FL area and are ready to schedule your home water test or would like to learn more about our services, call RainSoft today.